Pretty rosette swirls are the perfect sugary details to glam up just about any traditional wedding cake. The ivory blooms give this simple three-tier design some major character...with the addition of a bit of bling of course. 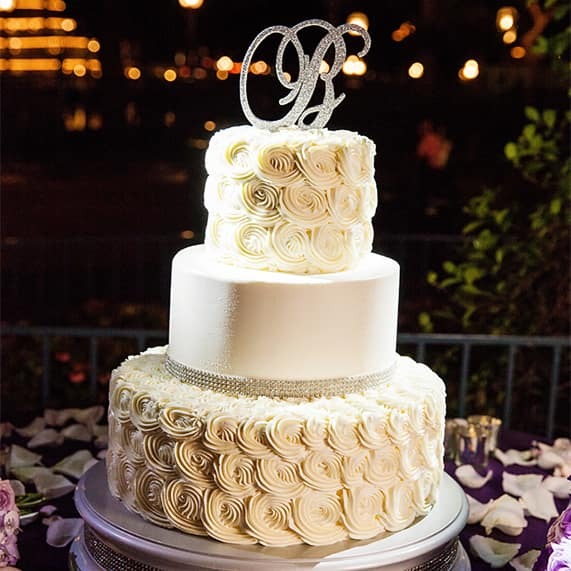 This white as snow Disneyland cake is a spectacular, heart-warming slice of sugar for a winter wonderland inspired reception.